I'm not usually one to re-post, but the soon-to-be Mrs Armour's blog is actually a little overwhelming. It's like somewhere out there, there's a Lena named Katie (and this time, I don't mind). This 24 year old sophisticate (I'd hesitate to call myself the same) is engaged to a wonderful young man named John, has a jolie-laid pug, is moving to San Francisco and loves sailor stripes. Kate also writes the most fabulous blog-the Neo-Traditionalist. I thought I would share her Manifesto; it might be the most perfect thing ever written. Cheers to you, the Neo-Traditionalist. We believe in being glass-half-full sorts of girls. We believe that often times, granny is chic. We believe in peddling vintage Schwinns with flower baskets. We believe in poetry, picnics, and piñatas. We believe one is never too old to keep a diary, the secrets only grow more scandalous. We believe in arranging fresh flowers unruly like an English garden. We believe in adventure and traveling the globe, be it to Marrakech or Malibu. We believe in mixing lucite with oriental rugs. Thrift store finds with heirlooms. We believe in handwritten thank you notes, better late than never. We believe in needlepoint, letterpress, decoupage and forgiving Martha Stewart. We believe in piggy banks and cookie jars. We believe in book clubs full of Fitzgerald, Hemingway, Austen and Woolf. We believe station wagons are hopelessly chic. We believe in marrying the boy that writes us the best love letters. We believe in highly competitive board games—Chess, Scrabble, Chutes & Ladders. We believe in spontaneous road trips and charming, chintzy bed & breakfasts. We believe there’s something to fortune cookies, wishbones and 4 leaf clovers. We believe in classics, shaken and stirred. 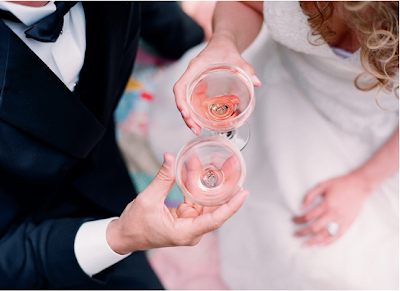 Photo by Elizabeth Messina via Kiss the Groom.